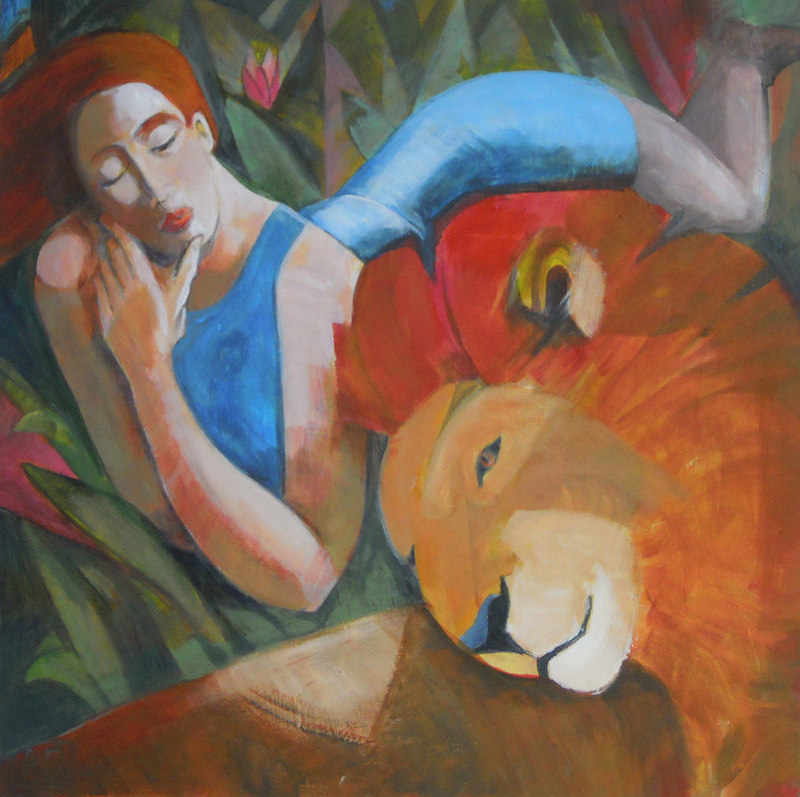 My second painting in this series is called “Loving the company of Leo”. Leo people are warm and affectionate and can be counted on to bring sunshine into other people’s lives. They are, however, used to being the king of the jungle so to be the companion of a Leo you need to know your own worth and be happy without them if necessary. 30 x 30 cm Acrylic on wood.